Good dry cleaning is a concern for anyone who has ever hired a professional to care for their clothing before. Chances are, you've had at least one experience where your clothes came back less than clean, wrinkled or shrunken, and you were probably outraged about it. That's completely understandable. If you're paying someone to take care of your clothes, you should expect someone who is going to care about them just as much as you would. And unless you can find a professional who offers quality dry cleaning services, you shouldn’t bother at all. Fortunately, people in Melbourne CBD who need exceptional dry cleaning services have had one excellent option for decades. Renes Dry Cleaners has been in business since 1977 and offers some of the highest quality dry cleaning in the industry. 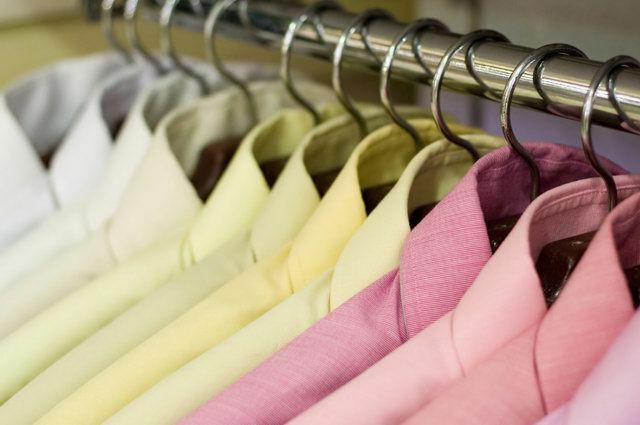 Additionally, our mobile service allows us to offer pick up and door to door dry cleaning in Melbourne CBD, as well as a number of other areas. We can even provide same day dry cleaning to Melbourne CBD customers who just can’t wait to look their best. At Renes Dry Cleaners, we're accustomed to catering to clients whose time is precious and aren't always able to bring their business to us. For that reason, we've spent the last ten years offering pick up dry cleaning for Melbourne CBD and a number of other neighbourhoods where our busy customers live and work. Best of all, we can provide these mobile services at no extra charge. Customers who are interested in having us pick up their clothes can visit our web page, where an online form is available to place your order as well as other information about this service. Door to door dry cleaning isn’t all that we offer, however. Renes Dry Cleaners also has same day service available for customers in emergencies, or who have a short amount of time before important events and need to look their freshest as soon as possible. We’re here when you need us the most. It’s just one of the ways that we demonstrate our care for you and your clothing. Renes Dry Cleaners began nearly 40 years ago when Patricia and Rene Jaramillo moved to Australia in 1971. Originally from Chile, the couple purchased their first dry cleaning store in 1977 and spent the next 40 years honing their skills to offer the finest service available in all of Melbourne. The company, now in its second generation and managed by their son Rene Jr, continues its tradition of personalised and detail oriented service while constantly finding new ways to keep up with the world’s increasingly frantic pace. Our mobile service and same day options are just some of the ways in which we cater to the needs of our customers while continuing to hold ourselves to the highest professional standards. For great door to door dry cleaning, fast service and work that Melbourne CBD has trusted for four decades, contact Renes Dry Cleaners immediately. Our website contains more information about the services we offer, and we’ll be happy to answer any questions you have when you call or email us about a job.